A widely adopted perspective on the substantial recent ecosystem changes in eastern forests has been to minimize the importance of pre-settlement dynamics. The argument that regional forests were in stationary equilibrium before Euro-American land clearance is longstanding (Bormann and Likens 1979) and persistent (Frelich 1995, Emberg et al. 2000, Fahey et al 2005, Stayert and Knox 2008, Albani et al 2006). It is certainly true that ecosystem shifts in recent millennia were smaller than the changes that have occurred since European settlement (Williams et al 2004). But this is a coarse benchmark, and relative stability does not imply absence of ecologically significant pre-settlement changes. 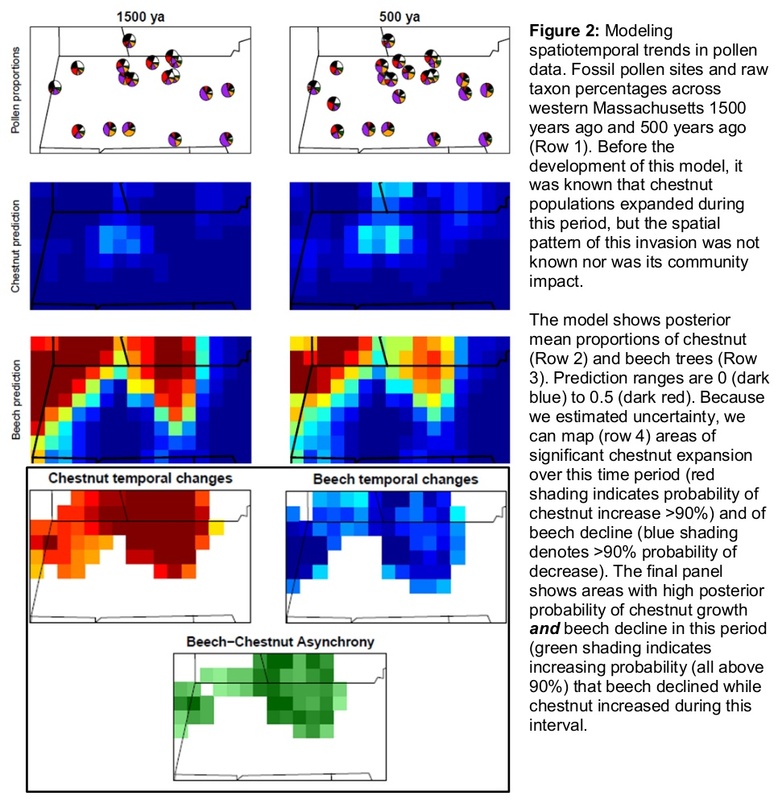 Abundant evidence is accumulating for pre-settlement vegetation dynamics driven by non-stationary climate variability and change.